STSRGBD30 features Aluminum Florida. Illuminated red/green/blue dot. Black matte finish. Multi-Purpose "twist-cap" technology. Limited lifetime warranty. 5/8" Weaver style rail. Metal ammo box included. 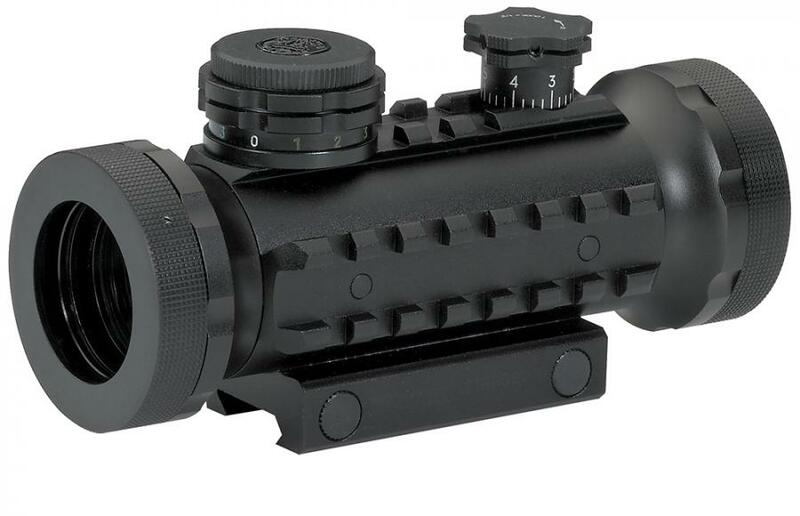 STSRGBD3X features fully multi-coated optics. Illuminated red/green/blue dot. Black matte finish. Multi-Purpose "twist-cap" technology. 1 Year limited warranty. 5/8" Weaver style rail. Metal ammo box included.